Everything Is Art: I'm positive that you're going to have a good day today. I'm positive that you're going to have a good day today. The 13th of September marks "Positive Thinking Day". And no, I am not making this up. You can look it up on Google if you don't believe me. 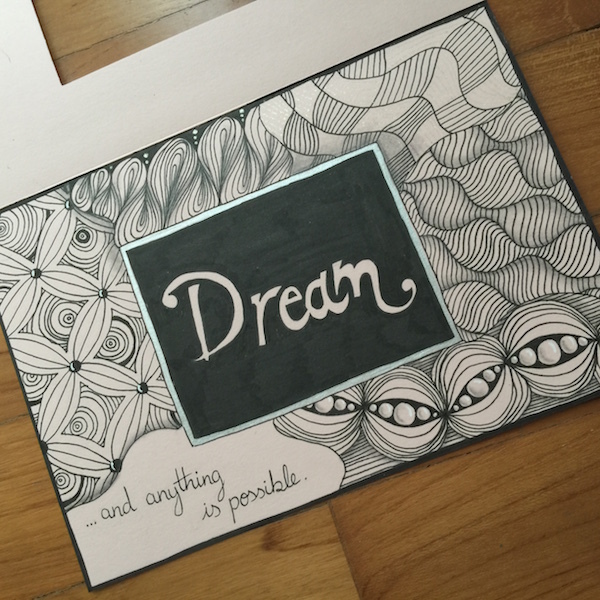 It has a little window, and you can see the word "Dream" through it. The entries for this week's Joey challenge were all so good. 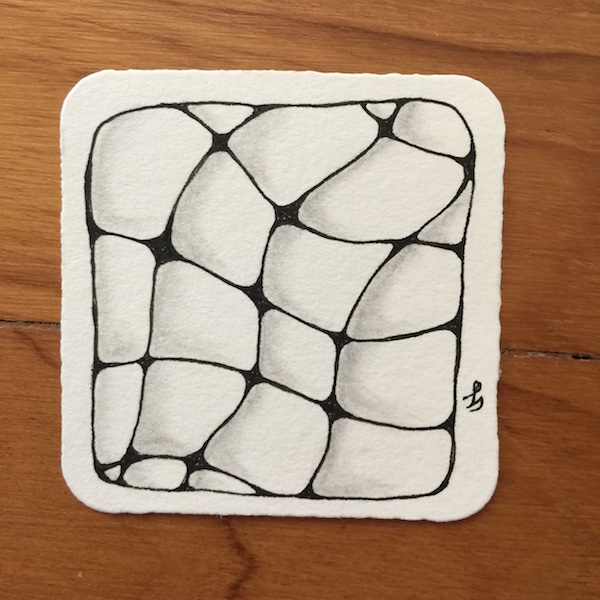 I did a very basic wavy grid with some shading; on a bijou tile. This is, I believe, last week's pattern for thebrightowl's Zendala challenge. And this is this week's one. I'm pleased with how it turned out, but I can think of other ways I would have completed it now that I'm looking at the finished tile. What's one nice thing you'd like to remind yourself today? Is it that you're loved by your family/friends? Is it that you're glad for the fact that you're of good health? Is it that you love the art you produce? Let me know in the comments section below. Happy Positive Thinking Day, friend. May your life be filled with many more positive things. Lovely, very lovely tiles. Your shading in nZeppel is done very well. I like the zendala too. I have a lot of positive things in my life and I'm so very grateful for it. What a lovely post. I really enjoy reading a little about the life of the person who writes the blog. I am glad we are friends now. 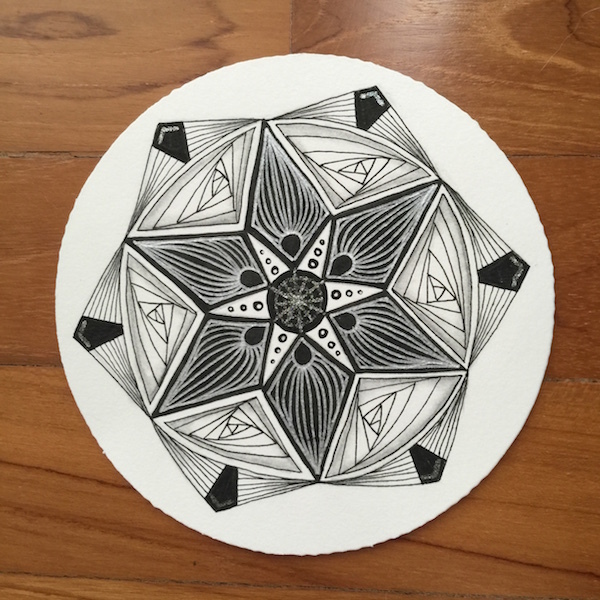 Your card is beautiful, what a great idea, and you tile/Zendalas are well drawn. I love your wavy nzeppel. I keep reminding myself how wonderful it is that I no longer live in a city. I now live in a little seaside village with islands just off the coast that is so scenic others come here on holiday. Every time I walk down the promenade to the supermarket (yes, the beach road really is my supermarket run) I remind myself how lucky I am. I love all the tiles on your post! 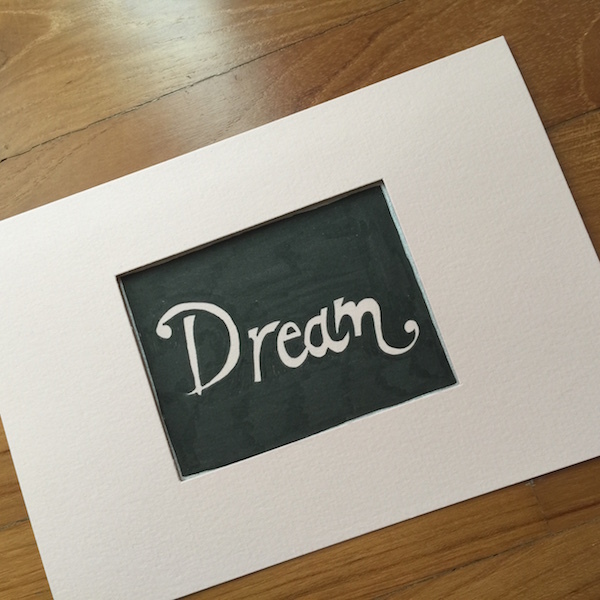 The frame around your "Dream" card goes well to the idea of positive thinking - thank you for this inspiration! N`zeppel is one of my favourite tangles and you show it so simplistic - great! And yourZendalas are fantastic and powerful. I'm one day late but I'm going to share, because of Positive Thinking Day, that I'm happy and blessed in my life. Life always gives you curves, but that's what makes it interesting. 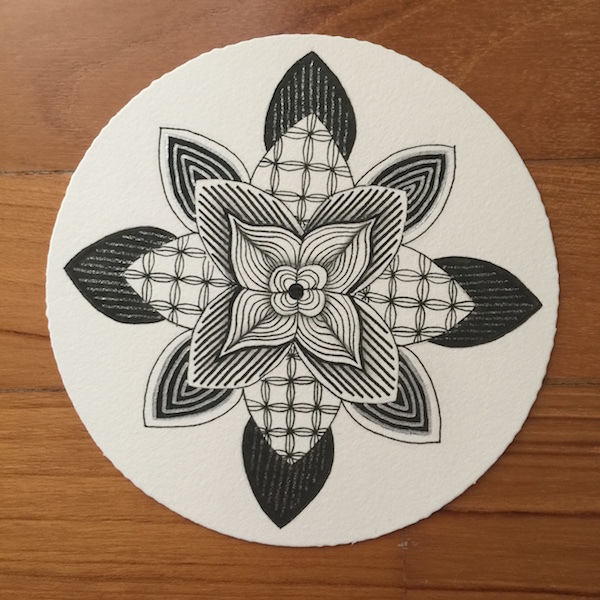 And, I've enjoyed looking at your Zendalas, tile, and card. So very nice! Catching up on my blogging comments... this is a lovely post - the artwork and what you have written. Your positive energy shows in your Art, even when you think your not in the most positive of moods! Thank you for sharing your work with us.